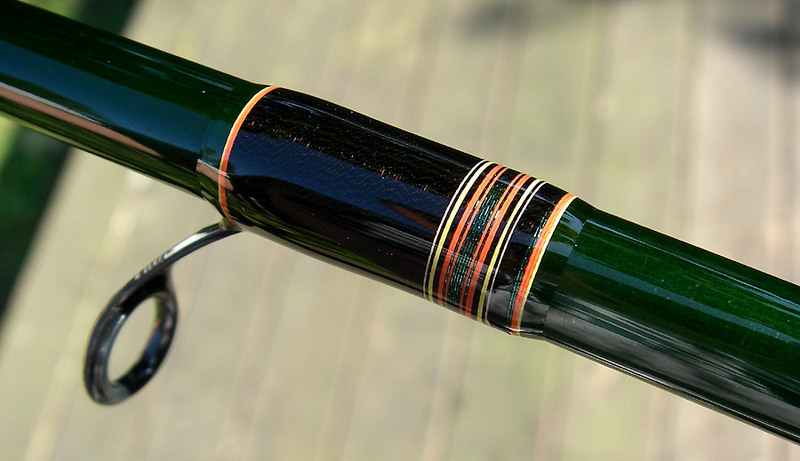 Every great piece of art hides a thousand failed attempts to create it." 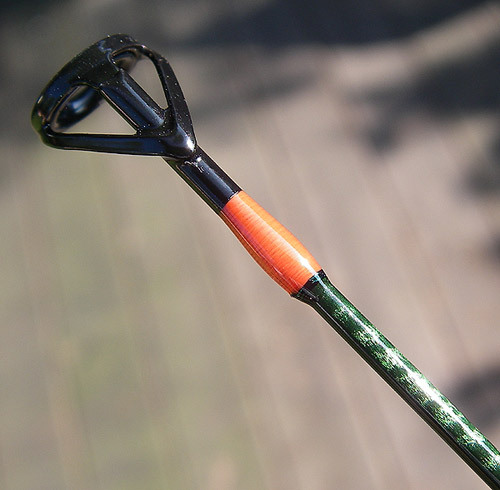 WILD THANG is just that...CRAZY! 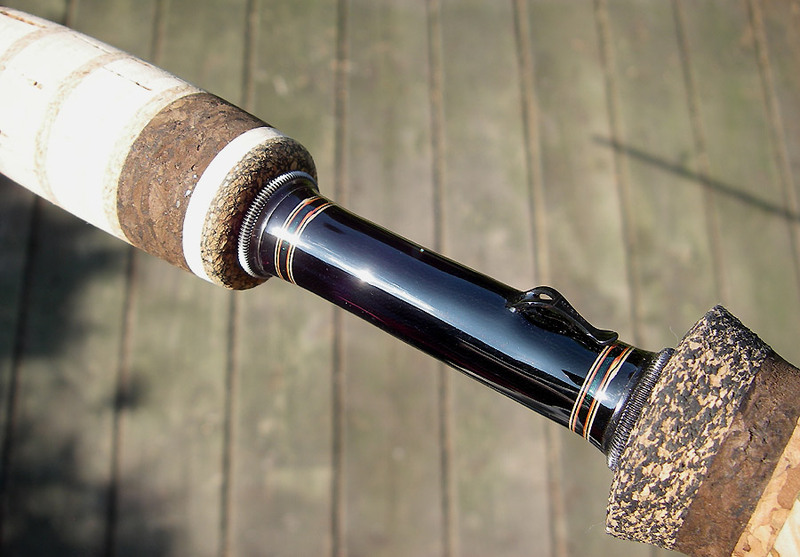 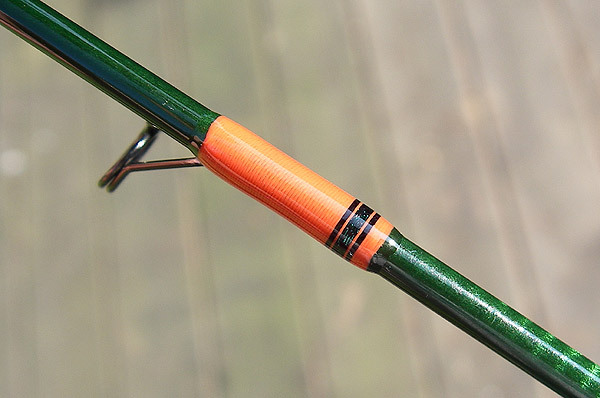 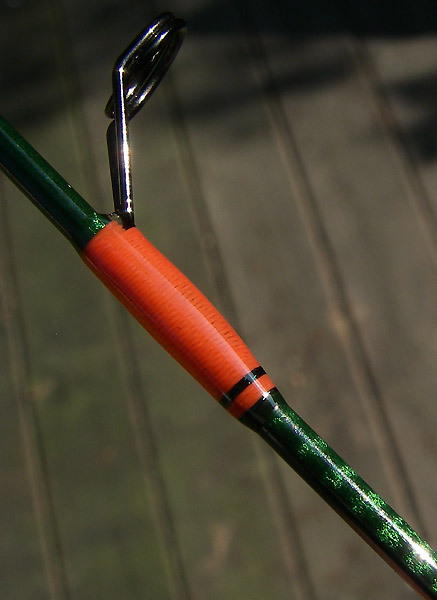 Using an amalgomy of different and unique guide wrap configurations across the length of the same rod, nothing is "normal". 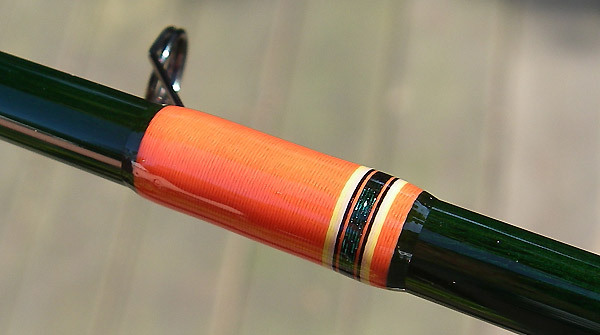 Near the tip, the foundation/highlight colors are flipped. 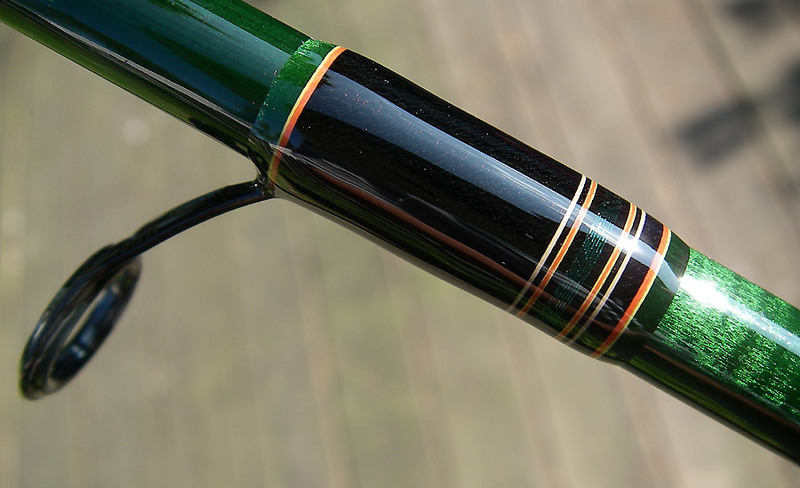 The only continuity is the use of the same color selections along the way. 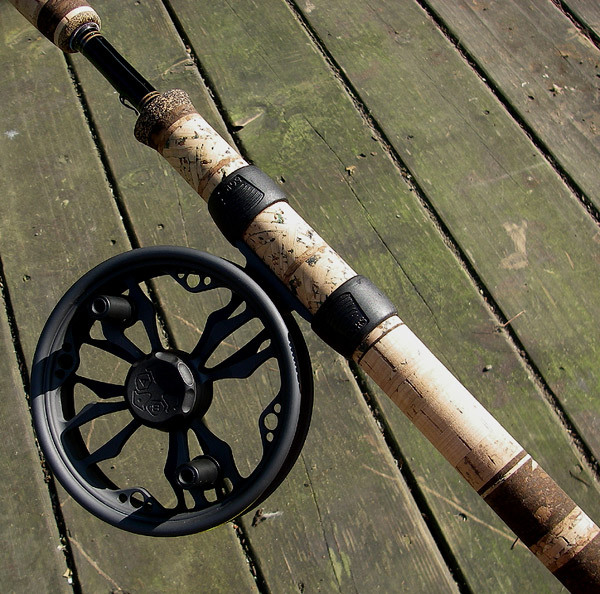 The all cork reelseat is something different too. 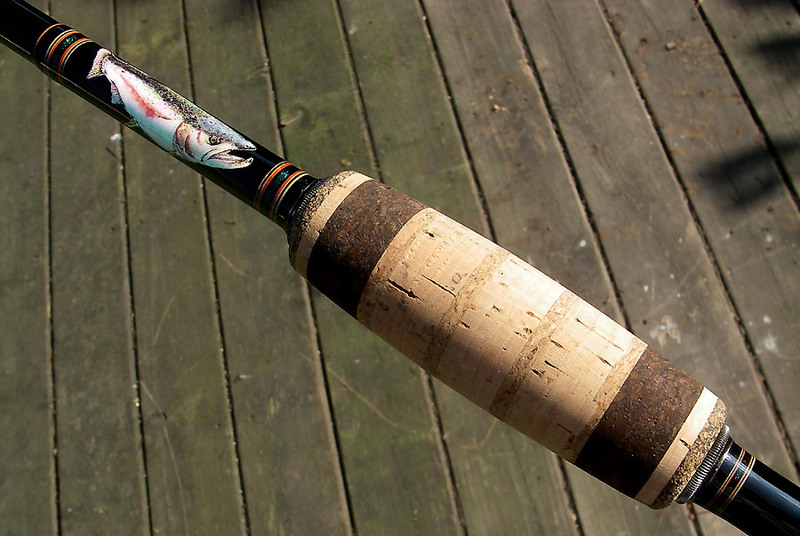 It incorporates dozens of different sized rings and grids mixed in with green variegated cork rings complete with cheater grip. 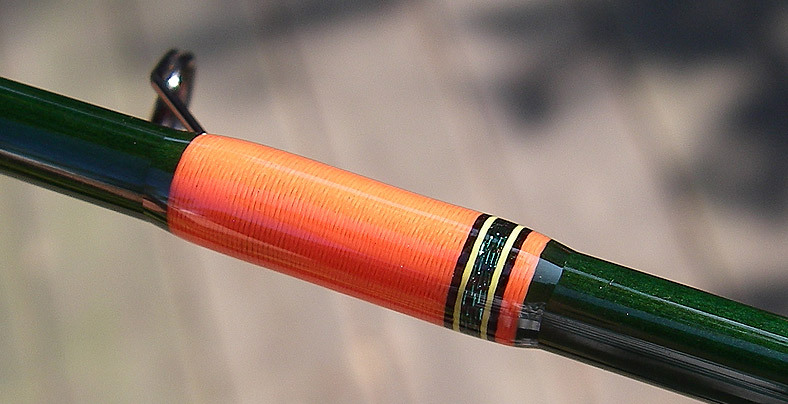 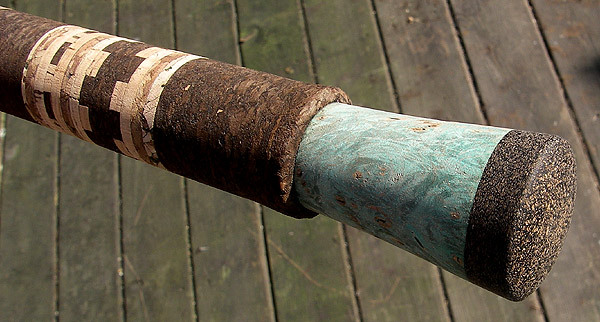 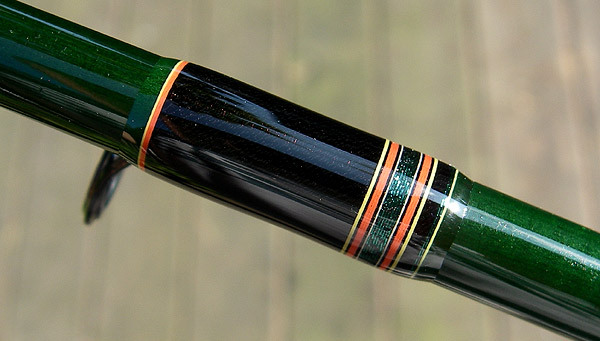 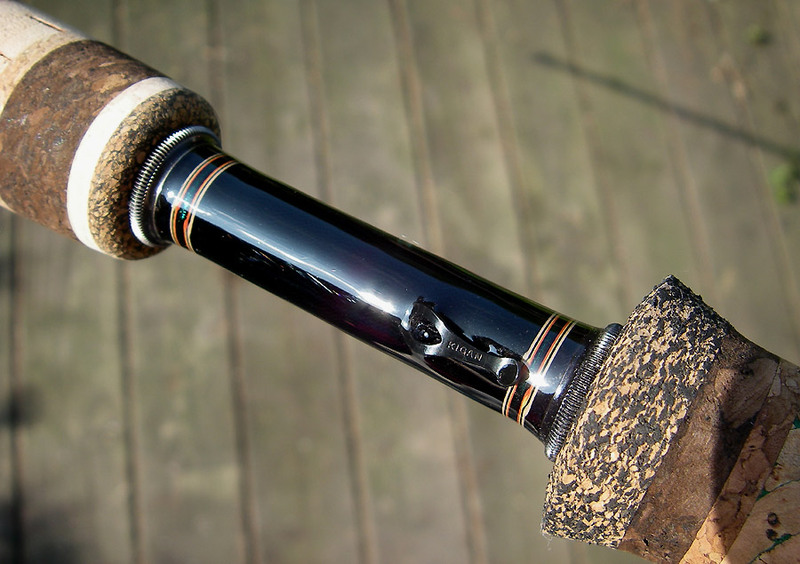 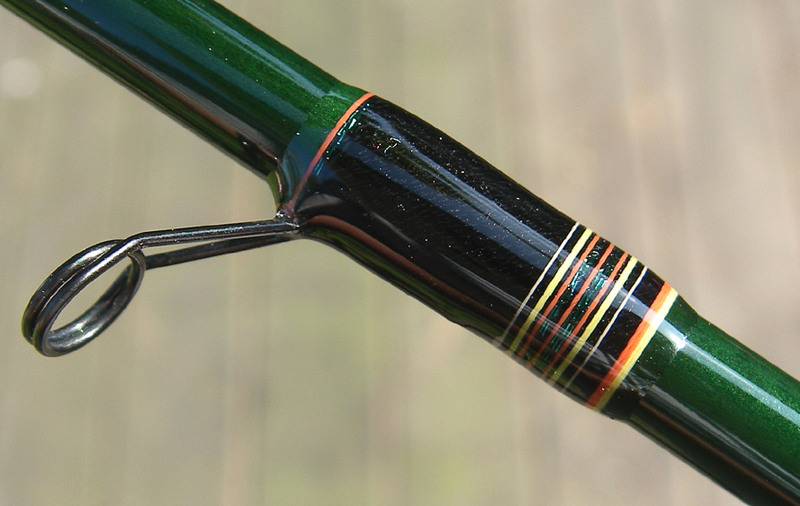 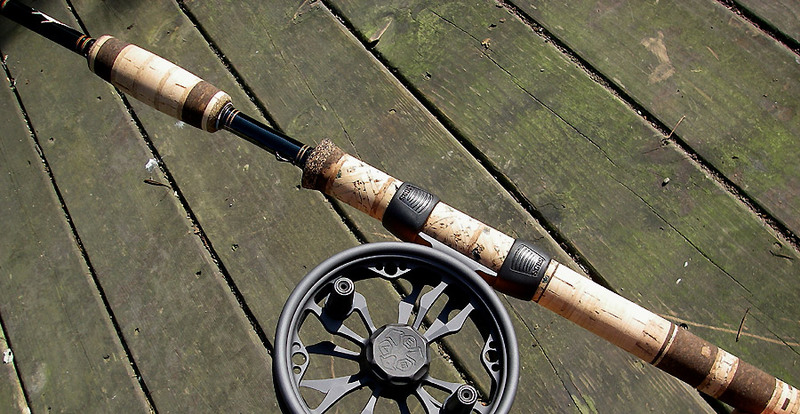 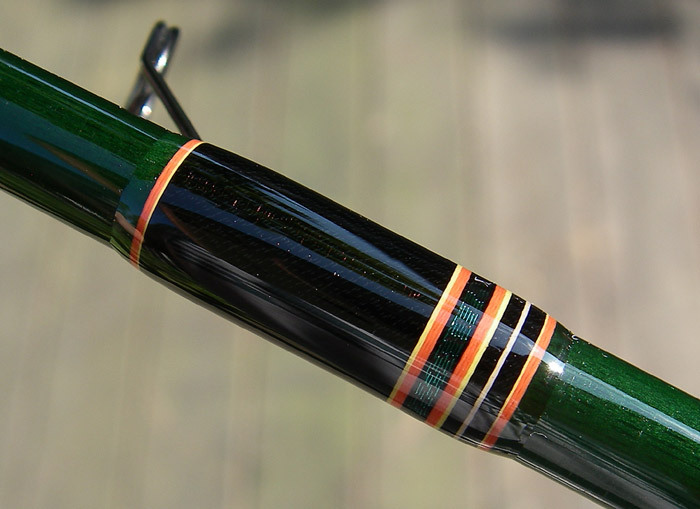 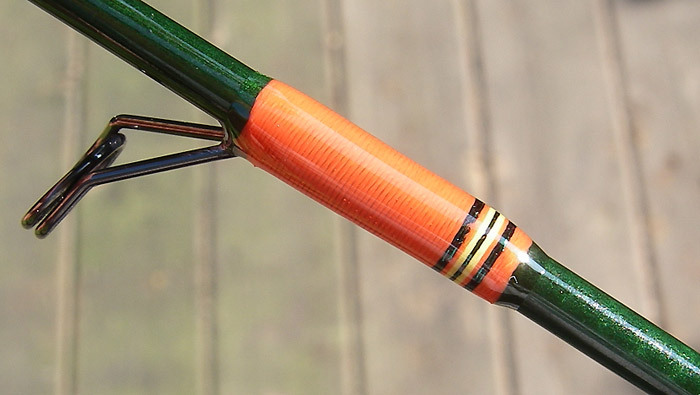 There's more inspiration for future guide wraps on this rod than is good for it! 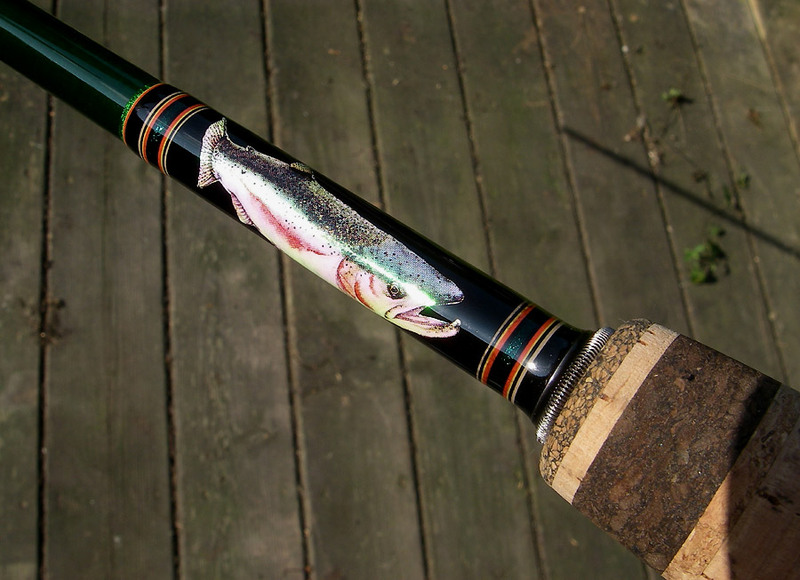 THIS ROD HAS BEEN SOLD!